Processing payments online is easier than ever before. Businesses leverage many tools and platforms that make it easy for their customers to buy their products and services. Credit card payments are the most common way for individuals to purchase online, but the use of credit card payments can lead to unwanted issues. A chargeback occurs when the bank reverses a given purchase in order to provide a refund to the customer, but chargebacks can be costly to businesses. Fees related to chargebacks can be high (as much as $100), which may represent a significant portion of the revenue for small- and medium-sized businesses. Chargebacks also make it difficult for businesses to track their ongoing revenue, as chargebacks lead to lag times between the date of purchase and the refund given to the consumer. This skews the data related to revenue and delays the recognition of any losses, which can limit your ability to address a chargeback and respond accordingly. In some cases, customers have up to two years to dispute a charge made to their credit cards, but most chargebacks occur within 90 days after a purchase has been made. Chargebacks are typically linked to fraudulent activity. If a bank confirms a credit charge as being fraudulent, the merchant must provide a refund along with having to pay any fees related to chargebacks. Technical issues can also cause chargebacks. Any errors made in processing the payment or completing the payment process can result in the refund of a charge to a customer’s. Issues related to the quality of products and services along with clerical errors are other reasons that chargebacks occur. 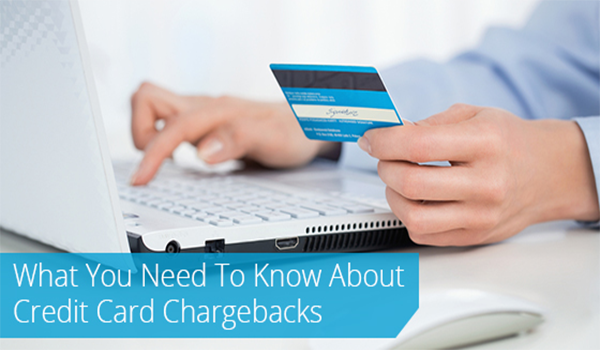 Merchants facing chargebacks must account for the fines, fees, and loss of revenue. All costs associated with making a given sale and shipping any products can be lost when chargebacks occur. Merchants can’t always avoid chargebacks, but they can ensure a high level of quality to help minimize them. By providing excellent service in the form of an easy-to-use payment process and products or services that follow through on the promises made, businesses reduce the cost of chargebacks over time. Merchants must also have the tools in place to fight online fraud. By requiring buyers to provide ways to verify their identities and payment methods, through the use of CVV security codes and email confirmations, businesses help prevent online fraud and reducing its associated costs. Credit card chargebacks can provide security to online consumers, but it can be problematic and costly for your business. Understanding chargebacks helps you minimize their effect on your business while improving the level of satisfaction for your customers.